Added by Indo American News on October 4, 2018. 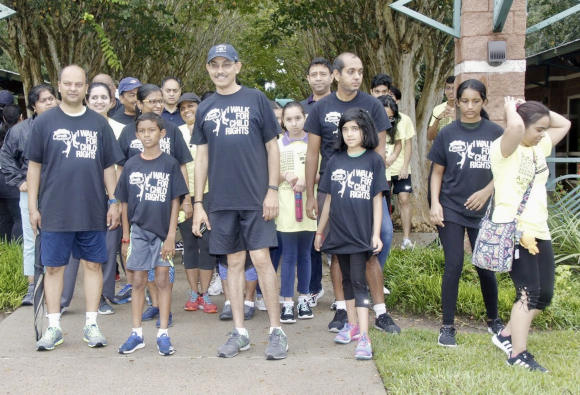 Walkers and runners alike in Houston participated in 5k walks and runs, along with a 1k kids dash on September 29, at the Lost Creek Park in Sugar Land. The Walk Lead, Dina Patel, along with volunteers held a successful Walk despite setbacks with overnight and early morning rain showers. Approximately 125 enthusiastic walkers and families showed up at 9:00 in the morning, committed and excited about participating in the event. The day began with registration and mouth-watering refreshments. 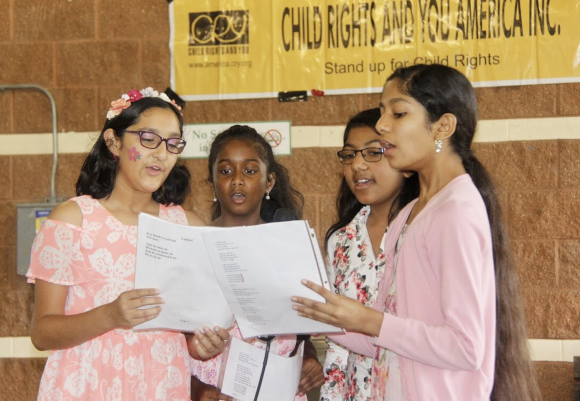 It included fun activities for both adults and children such as a Bollywood warm up, music, games, dance performances, raffle prizes, and special guest speakers. 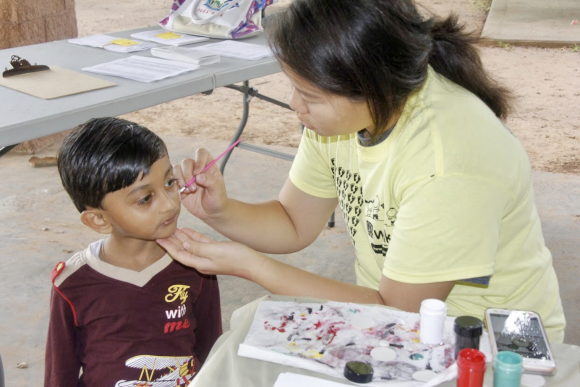 The event was a space for families to have an outing and ensure opportunities for underprivileged children. With the combined efforts of the group, the Houston team raised $4,878 for CRY with more donations pouring in even after the event. A big thank you to our event sponsors, Star TV, TV Asia, Air India, Shani International, the Gujarati Samaj of Houston, Wise Men, Vantive Inc, Indo-American News, Radio Dabang 99.5 FM, Meena Datt Radio, Sage Productions, Bollywood Shake, Deep Foods, Aling’s Chinese Cuisine, Bhojan, Madras Pavilion, Nirmanz Food Boutique, and Great W’kana Cafe. CRY America appreciates the generous support of all our event sponsors, media partners and donors in making this event a success. A special shout out also goes out to our dedicated volunteers, fundraisers and team leaders who have relentlessly worked to organize this event. CRY America has thus far ensured that 695,077 children living across 3,676 villages and slums have access to education, healthcare and are protected from violations through support to 73 Projects in India and the USA. CRY, Child Rights and You America Inc. (CRY America) is a 501c3 non-profit that is driven by its vision of a just world in which all children have equal opportunities to develop to their full potential and realize their dreams. With the support of over 25,153 donors and 2,000 volunteers, CRY America has impacted the lives of 695,077 children living across 3,676 villages and slums through support to 73 Projects in India and USA. For further information about CRY America or CRY Walk 2018, visit www.america.cry.org, email support@cryamerica.org or call 617-981-2826.